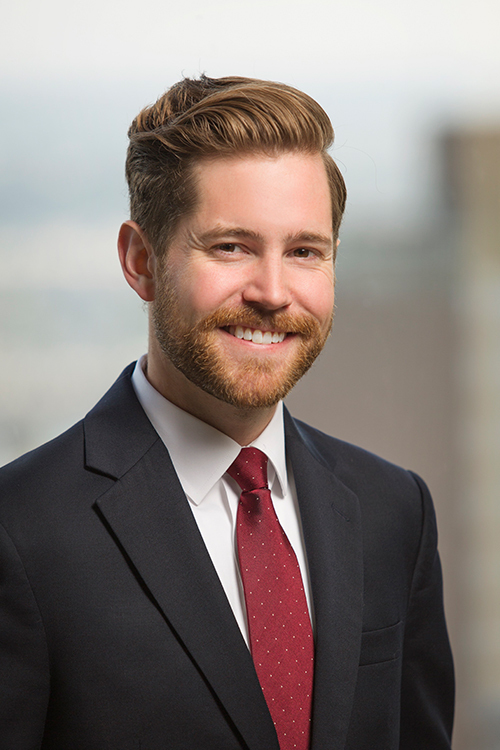 Devin Bates is engaged in an active litigation practice in Arkansas as well as in other states, including work done in multi-district litigation and complex commercial cases. He has experience in business litigation, products-liability cases, education law, and appellate advocacy. Before joining the firm, he served as a law clerk for Chief U.S. District Judge P.K. Holmes, III. Prior to attending law school, Mr. Bates taught math at Lakeside High School in Lake Village, Arkansas, where he served as Dean of Students. He also spent time at a leading pharmaceutical company in its finance division. He lives in downtown Little Rock where, as an avid cyclist, he enjoys easy access to the Arkansas River Trail System. Writes appellate briefs and motions for appeals in federal and state courts. Conducts depositions, manages document production, and oversees discovery in cases of varying degrees of size and complexity. Engages in written and oral argument of offensive and defensive discovery motions. Challenges administrative actions at the federal and state level by drafting written complaints, navigating various procedural systems, and developing a strategy to achieve client objectives. Assists in the defense of companies and individuals involved in litigation of employment issues, and engaged in complex commercial litigation relating to the enforceability of contracts, covenants, and agreements. Served on defense team representing an international energy company after mass tort resulting in injuries and death. Prepared complex briefs related to exclusion of expert witnesses, venue challenges, and critical trial tactics. Serve on defense team representing financial and administrative services company in a class action lawsuit alleging constitutional violations. Prepared complex briefs related to justiciability of the lawsuit, disputes under the Freedom of Information Act, and constitutional issues. Assisted in the representation of nonprofit organizations and educational institutions, including advising as to legal compliance, finding swift legal solutions without extensive litigation, and tailoring representation to meet client needs.